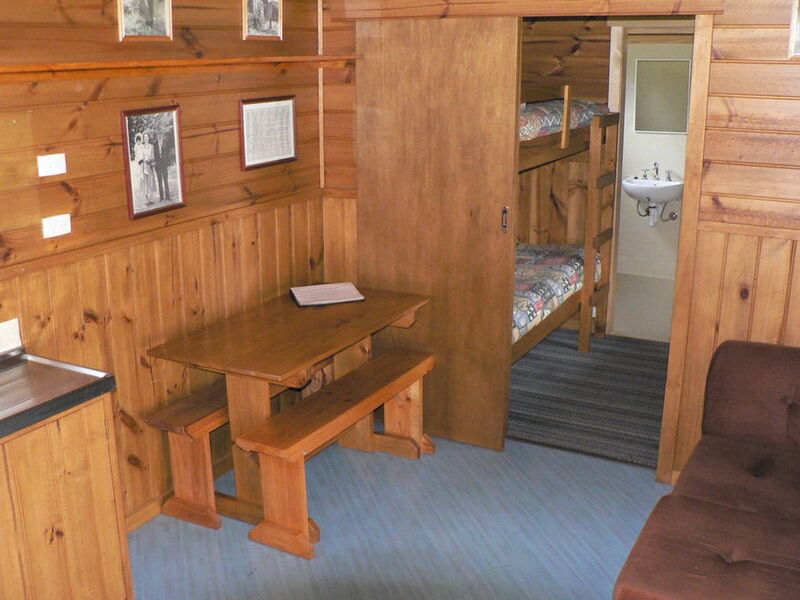 The self-contained cabins are suitable for up to 5 guests. 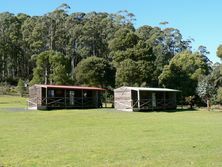 They have a double bedroom and another bedroom with bunks and a single bed, bathroom and kitchen with fridge, stove, microwave and utensils. 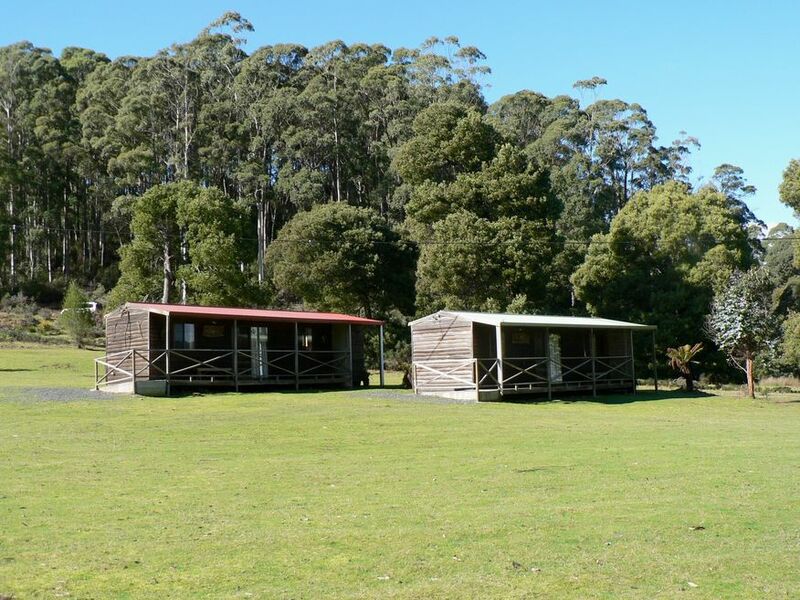 Cabins do not have televisions and there is no mobile phone service available so you will really be getting away from it all during your holiday. 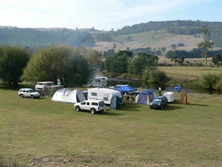 They have the largest collection of Tasmanian wildlife in Australia, as well as some exotic species. You can wander amongst the kangaroos whilst they eat out of your hands, drop in some food for the fish, chat to the cockatoos, watch the cheeky marmosets playing together or see the meerkats behaving just like they would in the Kalahari Desert. The animal walk is a leisurely stroll around some larger enclosures with buffalo, bison, alpacas, ostrich, camel, emus and farm animals. 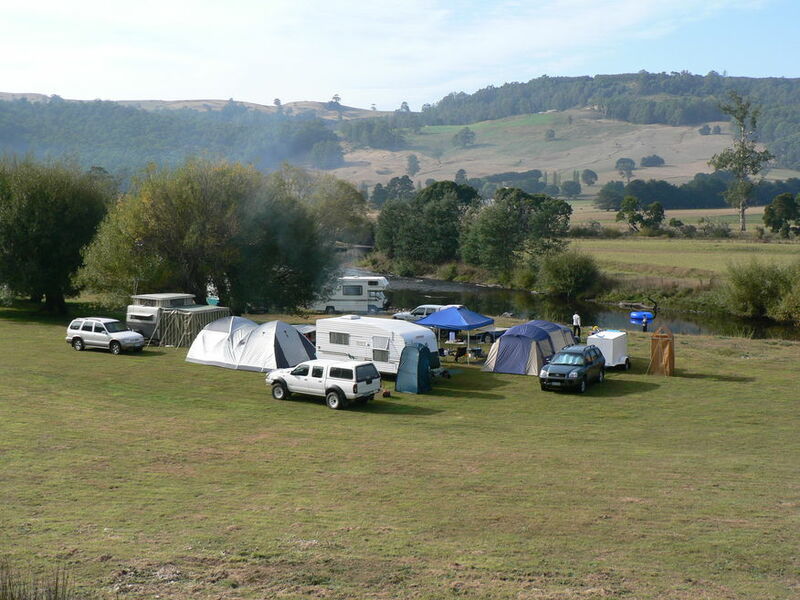 This area is open to all campers and other overnight guests, and is included in their accommodation price. Admission to the main wildlife area only needs to be paid once during your stay and covers admission on all subsequent days of your stay. 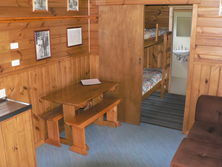 Cabin guests receive discounted entry rates. Please see the listing under Wildlife Parks for more information on the animals and encounters. (03) 6429 1151. To get regular updates about new animals at the Park, ‘like’ the facebook page.